French polish with little shellac dissolved in alcohol is used for coating on wood. It is applied with a woolen pad covered with cloth. It is recommended for all interior works. This polish provides brilliant glow that exposes all depth and color of the wood. French polish and spirit polish are different because French polish comes readymade from the market while spirit polish is made at site. The surface should be cleaned. 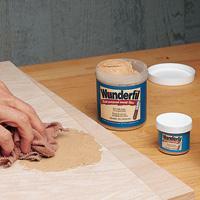 All unevenness should be rubbed down and smooth with sand paper. The surface should be well dusted with the help cotton cloth. Holes on the surface should be filled with putty. The surface should be given a coat of wood filler and be rubbed down perfectly smooth with glass paper and be wiped clean. A pad of woolen cloth covered with fine cloth is used to apply the polish. The pad should be kept wet with the polish and rubbed hard on the wood evenly over the entire area to give a leveled surface. The surface is allowed to dry and further coats are applied in the same way. To finish off, the pad should be covered with a fresh piece of clean cloth slightly damped with spirit and rubbed lightly and quickly with circular motions. The finished surface should present uniform texture and high gloss. For superior job a final finishing coat of lacquer (It provides luster and smoothness to a surface, which can be easily cleaned. It dries faster and greatly improves the durability of the underlying finish) is applied to enhance the life of the polish. 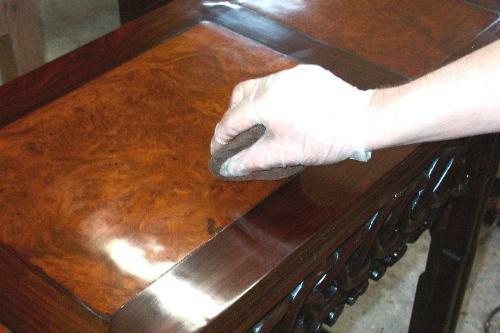 If the old polished surface is not much soiled, it should be cleaned of dust and dirt by rubbing with turpentine and then rubbed with fine sand paper. If the old polished surface is much soiled, it is necessary to remove the entire polish with paint remover. Further polishing may be done as for new work. 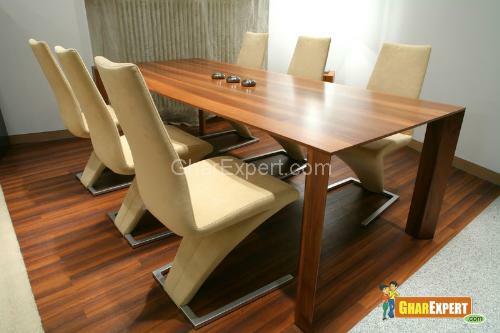 It is an ideal coating for dining room tables, coffee tables, clock cases, chairs etc. and also on vertical wooden surfaces. It is recommended for all interior wooden works. It is suitable for wooden floors in low-traffic areas. Drying per coat, under normal conditions: 15-20 minutes. Hence, it is possible to apply three coats within the hour at normal room temperature. French polish is especially suitable when previous coatings are first removed (It cannot be re-applied without removing all traces of wax first). It is not suitable for exterior application. It is not suitable for kitchen and bathroom surfaces.